Nowhere is this more true than in the case of long-term care insurance. No one wants to end up in a nursing home as a ward of the state. Each of us wants to have a plan to create more liquidity in the future if needed, so that we don't become a burden on others. Most people would prefer to own a form of long term care protection -- but paying the annual premiums is disturbing. What if you don't end up needing it? What if you die before you need care? These are legitimate questions that deserve accountable answers. Premiums continue to rise for long-term care insurance, and with the aging of the baby boom generation, claims can only be expected to rise. Will claims swamp the system one day? Regardless of whether our health care system can handle the growth of the need, many people believe that health insurance companies will be forced to raise premiums steadily over time to remain flush with capital. Another reason that premiums stand to rise: Obamacare. New government-imposed health insurance laws could result in the affluent subsidizing the poor on an increasing basis. Translation: those who buy long-term care insurance today may end up seeing higher premiums in the future as non-payers enter their insurance pool and make claims. The concern with rising long-term care insurance premiums is one that I share with my clients. Thankfully, the life insurance industry has taken the steering wheel over and has created "combination policies" which allow the death benefit to be converted into spendable cash in the event of a long-term care outcome. By owning a policy outright -- fully refundable and liquid -- benefits can be paid directly to you when you can no longer perform two out of the six activities of daily living (ADLs), your financial plan immediately becomes more secure. The money does not have to go to providers -- it goes directly to the owner of the policy. You most likely know someone -- friend or family -- who has needed help in their later years. Time marches on. This may be the one aspect of your plan you simply cannot afford to ignore. Here's the problem: we all know that protection is a prudent idea -- but if you end up not needing the care, or pass away prior to needing it, you paid in, but your ROI is poor. Now, you can own liquid long-term care benefits -- in the range of $4,000 to $12,000 a month or more -- and get your money back if you don't end up needing the coverage. 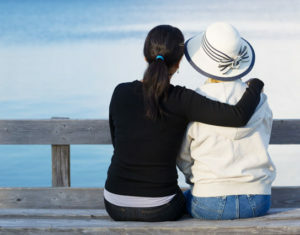 If you pass away in the meantime, your heirs can typically receive two to three times the money you put in, depending on your current age and health. Retirement planning is about making every dollar count. Today, many people are finding remarkable protection through the use of liquid single premium life insurance that doubles as long-term care living benefits. H.F. Hanes & Associates has a number of plans to choose from. If you have looked into long-term care insurance, but simply could not rest easy with the annual cost -- and the fear of rising premiums -- you have an option. Today, as an informed consumer, you can own a 100 percent refundable form of protection that will provide exceptional monetary benefit IF you need the care, but also provides 100 percent liquidity in case you need the funds for a different purpose. It's been said that the best investment is the one that pays the most when you need it the most. By adding an asset to your retirement mix that could pay 3-to-1 or 4-to-1 if you are unable to perform two out of the six activities of daily living -- with no risk to principal -- you immediately upgrade your future. You certainly won't find a trade like that on Wall Street. Call us today at 888-416-LIFE (5433) / 480-607-1346 for a review of these programs. Know your opportunities to manage this very important concern.